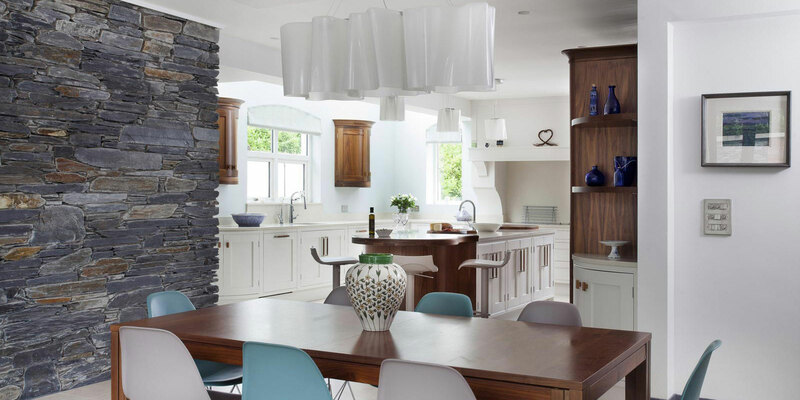 This home has been beautifully restored to its original early 19 century form and the clients have gone to great lengths to keep the house authentic to its heritage. 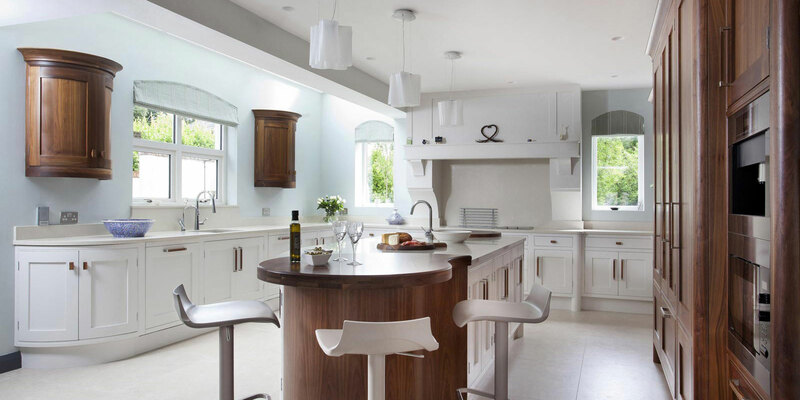 An extension was built at the rear of the house that whilst is sympathetic to the front, it is the more relaxed and informal part of the home. 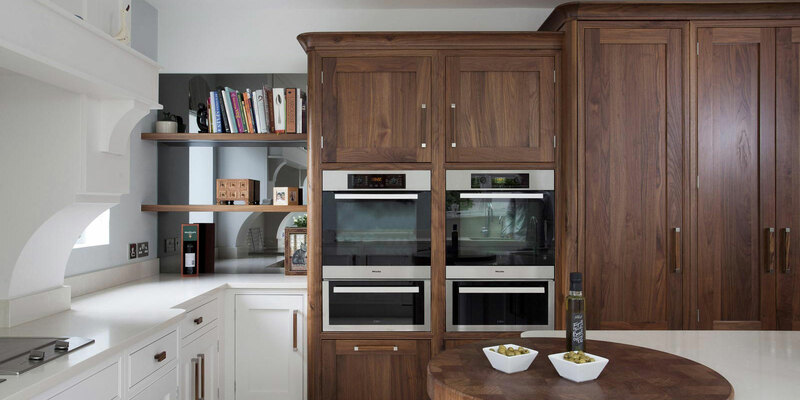 The kitchen makes up one half of a large kitchen living dining area, the brief was to create a traditional kitchen and include a wide range of appliances; full height refrigeration, Tepan Yaki, coffee machine as well as state of art Miele ovens. 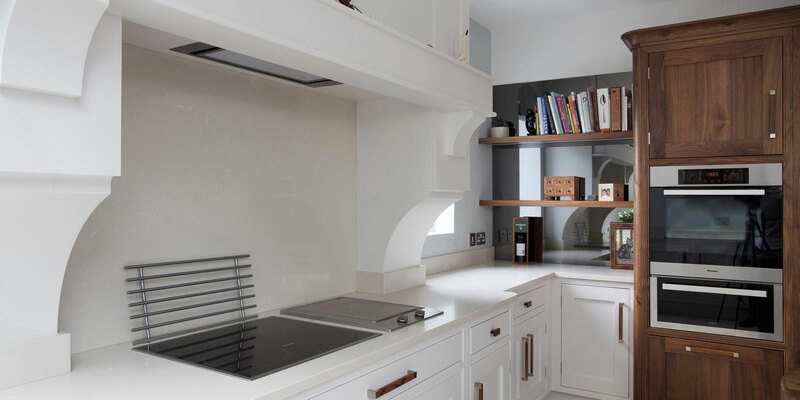 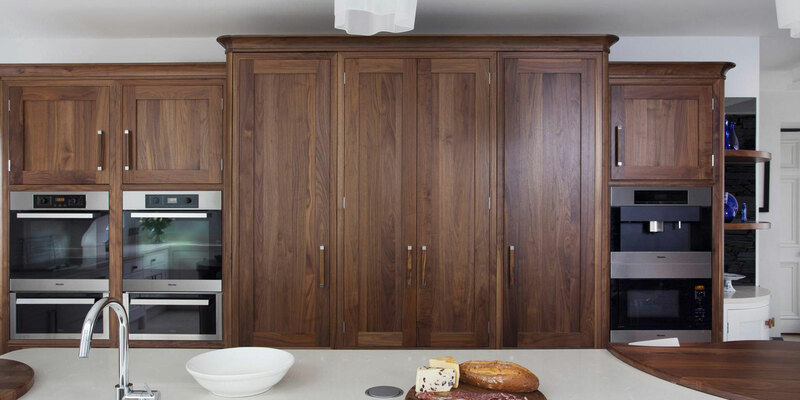 The finished kitchen is hand painted bespoke in frame with contrasting wood finishes. 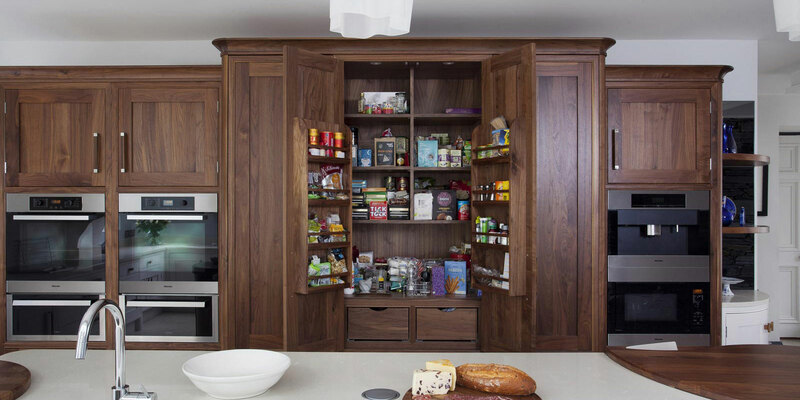 The tall bank of full height units are in American black walnut, the units include shelving at either end as well as a beautiful hand crafted pantry with soft close drawers and an abundance of storage options. 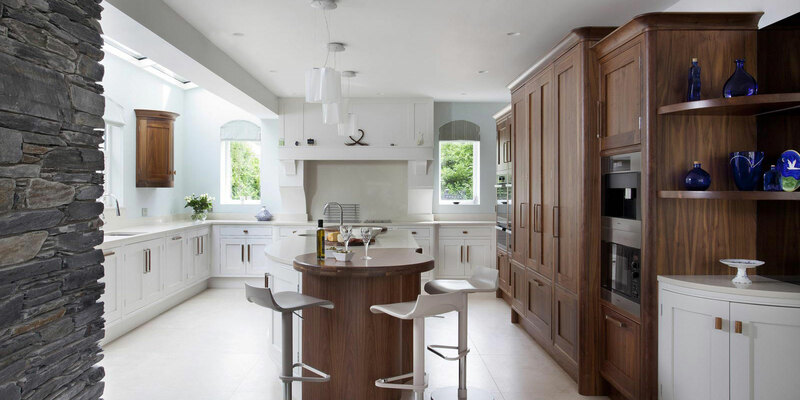 The impressive island provides a beautiful central place in the kitchen to prepare food and for casual entertaining at the curved seating area. 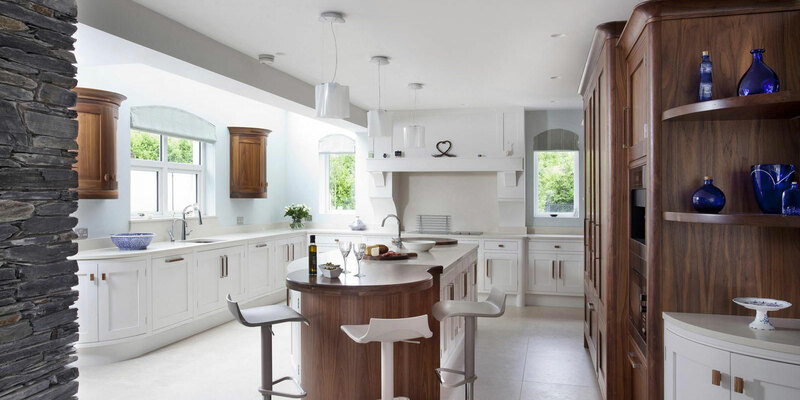 The quartz worktops provide a clean fresh finish to the overall kitchen and completes this open plan kitchen living dining area.